Washington Redskins coach Jay Gruden has distanced himself from quarterback Robert Griffin III over the last seven days, making it clear that his regime is not tied to the player who was supposed to transform the franchise. 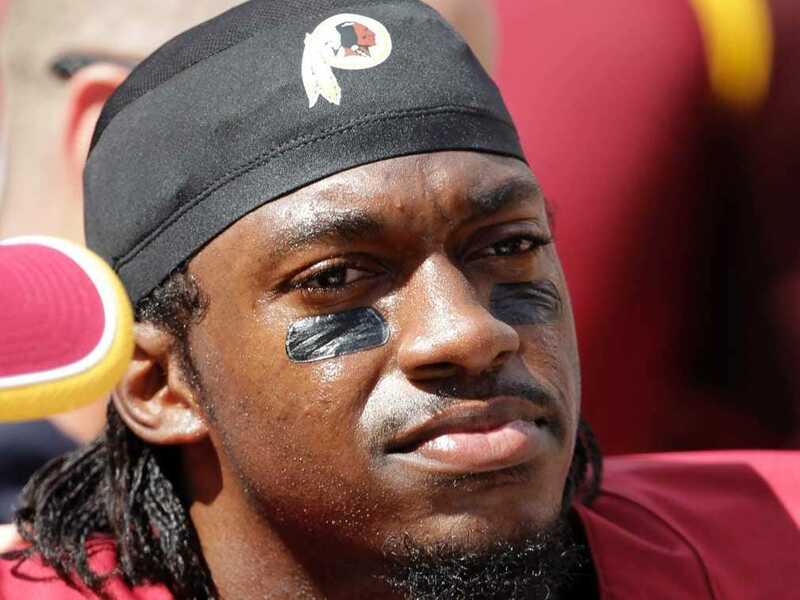 On Sunday there were multiple reports that Gruden had the ability to bench RGIII. Ian Rapoport of the NFL Network reported on Sunday that Gruden got some “positive feedback” within the organisation for his RGIII criticism, which further empowered him to give RGIII a short leash against the 49ers in Week 12. Rapoport added that owner Dan Snyder is no longer instructing coaches to tamp down their criticism of the quarterback. Gruden didn’t draft Griffin, and as his first season goes down in flames, he’s clearing doing his best to place the blame on his quarterback. Griffin was 11 for 19 for 106 yards in Sunday’s 17-13 loss to the San Francisco 49ers. He was sacked five times, but not benched. The team has until May to decide whether to pick up Griffin’s extension through 2016. If they don’t pick up that option, 2015 would be the final year of his contract with the team.